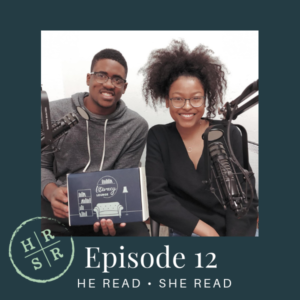 Today we’re chatting with Dorion and Harmony, the founders of Literacy Lounge, a monthly subscription box that highlights Black literature and offers a simple approach to enhancing your reading experience and living a healthy and conscious lifestyle. We loved getting to know Dorion and Harmony, a newly engaged couple, and talking about books and reading (of course). Dorion and Harmony also took us behind the scenes of entrepreneurship, opened up about their dreams for Literacy Lounge, and explained the importance of Black literature plus self care. We think you’ll enjoy listening in on our conversation and hope you’ll check out Literacy Lounge at https://www.theliteracylounge.com/. The Autoimmune Solution by Amy Myers M.D.